Uganda’s food production has been on a steady decline owing to climate change coupled with a growing population. 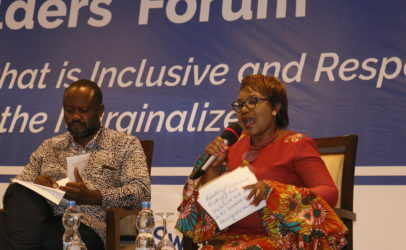 The shifting scale of food production has brought with it extremities such as malnutrition and hunger in sub-regions such as Karamoja, Teso and Lango. As we commemorate World Food Day (WFD), the Food Agriculture Organization (FAO) states that beyond climate; food insecurity can also be attributed to rural to urban migration. Drawing from the theme of this year’s WFD, FAO estimates that globally, a large share of internal migrants come from rural areas where more than 75 per cent of the world’s poor and food insecure depend on agriculture for food and livelihoods. 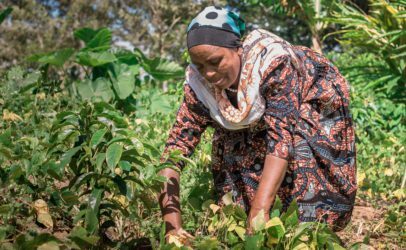 At Hivos East Africa, we believe that sustainable food can be achieved through innovative approaches such as working with a coalition of the willing and front runners to come up with solutions that can encounter the world’s rising food insecurity. 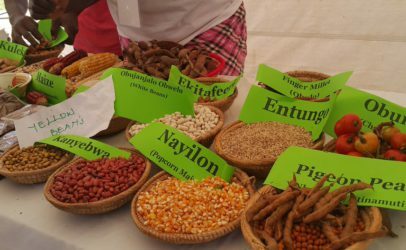 Read how front-runners in Uganda through our Sustainable Diets For All programme are addressing food insecurity. Yusuf Butanda, an urban dweller in Wandegeya, a Kampala suburb uses his landlord’s backyard to grow vegetables to supplement on his family’s diet. He grows cabbages, carrots, tomatoes and onions, a practice he learnt from a television program – Omulimi Asinga on Bukedde TV. The program teaches people how to utilize small space to grow fast-maturing crops. With the ever escalating food prices in the country, Butanda has been able to kill two birds with one stone: enhancing his family’s diet and spending less on food. 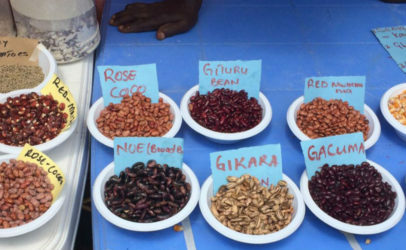 When food prices go up, many people are forced to suspend the purchase of some foods, mainly focusing on main course items like rice, posho and beans among others, a practice that can lead to malnutrition. Butanda asserts that his homegrown foods are fresher and better tasting on table as he uses natural manure, compared to those in markets which are in most cases grown using artificial fertilizers. Busitema University is one of the oldest institutions of learning mainly focused on Technology and Agriculture. Students from here engage in research to find solutions to the various problems affecting Ugandans. Today we talked to Patrick Obina, a fourth year Agricultural Mechanization and Irrigation Engineering student who hails from Karamoja. Karamoja being one of the hottest regions in Uganda means that growing some crops like tomatoes which require a temperature of 15?C to 32?C is quite difficult. Because of this, people have to travel long distances from their villages to buy them. Peace Kirabo goes to Gayaza high school. 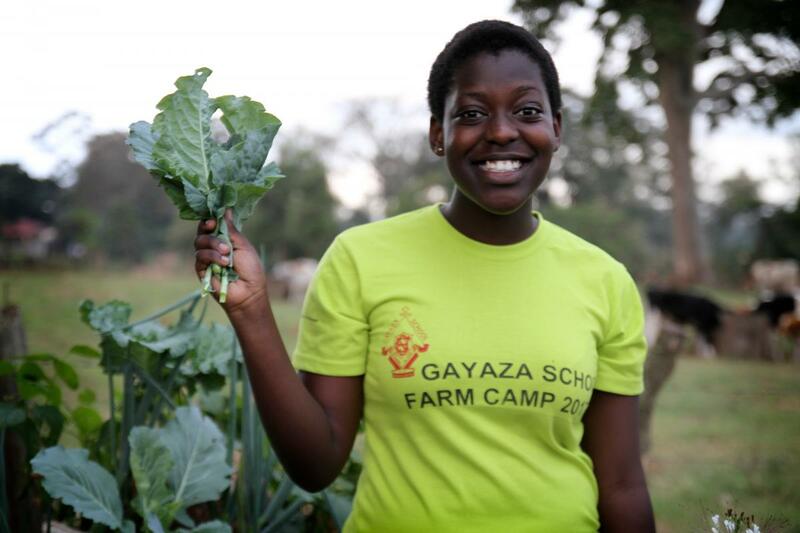 She is a member of her school’s agricultural club – Gayaza Farm Club. One of Kirabo’s tasks is tending to the club cows from which the club extracts milk. Part of the fresh milk is served to students while the rest is used to make butter and yoghurt. The club which started five years ago is helping to improve lives of these students. Kirabo explains that she has learnt how to milk, make yoghurt and butter, and appreciate the dynamics of looking after cattle. 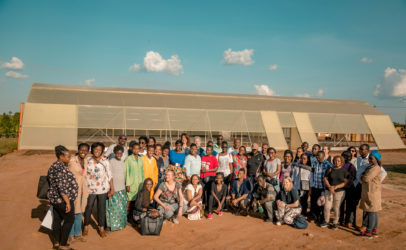 The school took up the concept to promote sustainable diets, transform the health of its students while promoting economic development and restoration of the ecosystem since cow dung is used as a natural fertilizer to grow crops on the school farm. All 175 members paying allegiance to the club share proceeds from the sales at the end of each year. Musana Chapati (traditional Indian bread) sellers use environmentally friendly briquettes made out of agricultural waste to light and fire up their stoves. They testify that briquettes burn longer for less compared to their colleagues who use charcoal. For lighting, they use solar powered lamps as to reduce on their lighting expenses at night and health-related risks associated with inhalation of dangerous fumes from lamps and charcoal. Hussein Mugoya, one of the chapatti makers says before discovering briquettes, he was getting strained by the prices of charcoal, which were rising almost daily. Musana translates to “Sun” in Luganda. Musana Carts is a two-wheeled cart with a solar panel roof permitting the mobile vendor to cook and refrigerate their products as they go about their work. Through providing clean energy and saving cooking time, the innovation is set to double the income of many street vendors and will create about 300 jobs. In one year alone, Musana Carts will save 3000 tonnes of carbon emissions and reduce thousands of annual smoke-related deaths in Uganda. The good news is that there seems to be light at the end of the tunnel as Obina and his colleague Igira Ezedekia, have come up with a makeshift greenhouse with an aim of developing drought resistant crop varieties viable enough to thrive in drought ravaged areas. Obina’s strategy meant to teach and provide rural farmers with loss averting crop varieties also intends to research on the amount of water that each crop requires and this will guide them in an irrigation scheme and help in avoiding wastage of water, which is a very scarce resource in the region.